Two pieces from 1865 Wm. Rogers. They are marked XS Triple and were designed in 1932, revised in 1951. 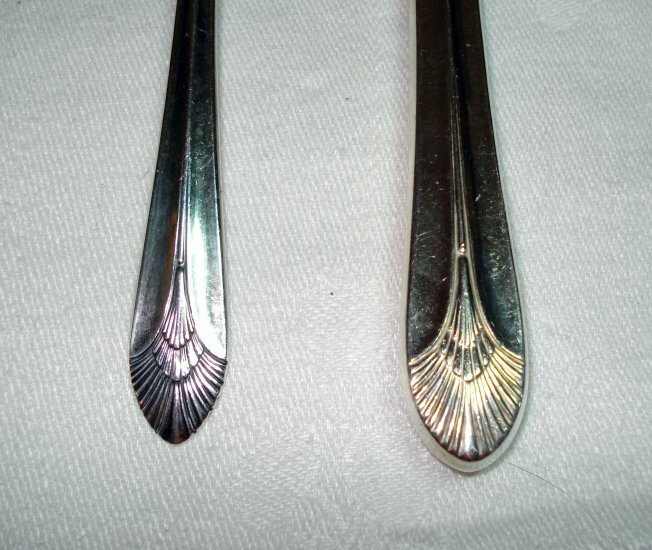 These two pieces are from the 1932 design. The soup spoon is 7.5 inches long and the knife is 9 inches long with a stainless blade. Condition of both is great. Very minor usage scratches and no silver wear. I will sell these pieces separately if requested.